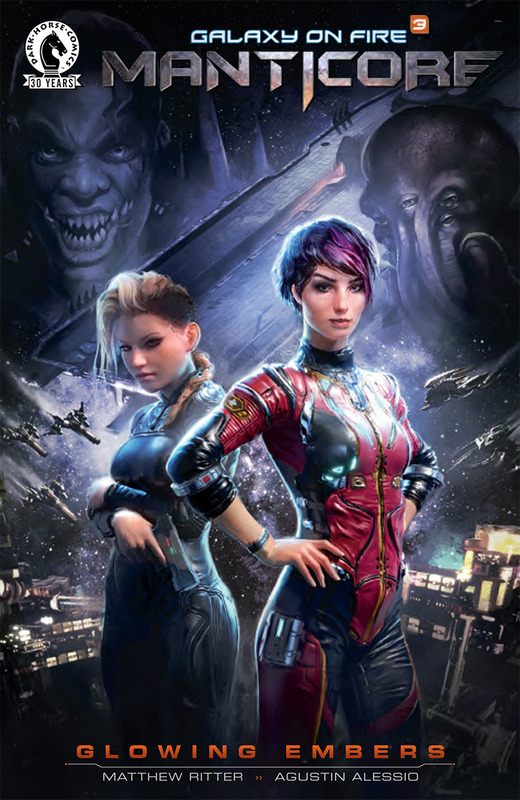 Dark Horse and Deep Silver FISHLABS are excited to start their partnership with a coordinated release of the Galaxy on Fire 3 - Manticore game and the digital comic tie-in Galaxy on Fire 3 - Manticore: Glowing Embers. Matthew Ritter writes the comic while Agustin Alessio and Gabriel Rearte lend their illustrative skills. Ramon Bunge colors the art and Nate Piekos letters the issue. Anthony Palumbo creates the cover art. 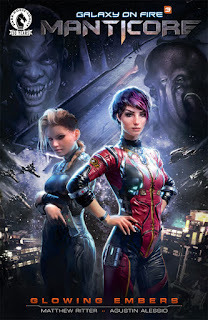 Galaxy on Fire 3 - Manticore is the fourth entry in the Galaxy on Fire mobile game franchise. The events of the Glowing Embers comic, which serves as a bridge for fans, take place prior to the conflict of the new game. Galaxy on Fire 3 - Manticore and Glowing Embers are both set in the Neox Sector, a distant part of the galaxy located far outside the reach of the governing factions where pirates rage and crime lords rule. The Galaxy on Fire 3 - Manticore: Glowing Embers digital comic and the Galaxy on Fire 3 - Manticore video game available now. The game can be downloaded from the App Store free of charge. The comic is also free on all available platforms.